Kidliterati: Who's Your Favorite Prolific Author? Who's Your Favorite Prolific Author? Prolific authors are something to behold. You find a specimen of this rare breed who's able to churn out mountains upon mountains of top-notch material, and you're set for months worth of plunge-yourself-in-awesomeness reading. It's happened to me with Christopher Paul Curtis, Lois Lowry, Louis Sachar, Judy Blume, and a few more, but it doesn't happen very often. Setting out in search of my next quarry, I asked a librarian buddy of mine for help. He immediately said I HAVE TO READ Brandon Sanderson's stuff. He was so excited HE ACTUALLY SPOKE IN ALL CAPS! 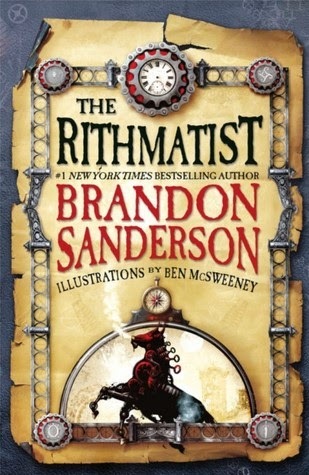 And then I noticed Brandon Sanderson's name coming up on blog after blog as "must read." MUST READ, the headlines blared. With SIX RIDICULOUS EXCLAMATION POINTS!!!!!! So of course, I did the logical thing. No one tells El Jefe what to do! NO ONE!!!!!! El Jefe doesn't abide by such silly factors as "rationality" and "common sense." Knowing this, my librarian buddy hit me in the head with STEELHEART. Being kind of a thick book, it knocked some common sense into me. "Common sense" feels oddly like a concussion, BTW. Until Deathpoint points a finger at an innocent. Flesh disintegrates. Bones clatter to the floor, in graphic detail. Deathpoint smiles as he narrates how money is nothing to him. What's he really after? Sorry Heath Ledger, but your Joker ain't got nothing on Deathpoint. And then an even bigger figure floats into the front door. It's Steelheart coming to save the day... or is he coming to claim his territory? And suddenly, Deathpoint seems like a joker compared to terror that is Steelheart. 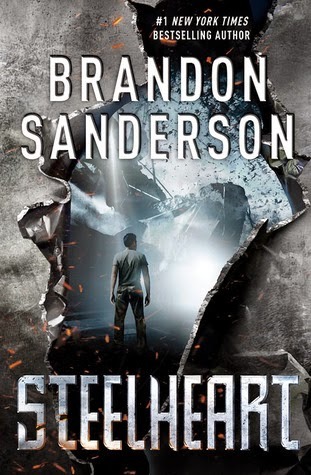 STEELHEART is full of pulse-pounding action, narrated by the only kid surviving the opening scene, who spends his life trying to figure out Steelheart's weakness. This, my friends, is the definition of un-put-down-able. After zipping through STEELHEART, I had to pick up one of the many others by Sanderson. I was a little nervous coming into THE RITHMATIST, as my expectations were sky high. But when I saw the drawing on the first page, detailing the geometry of one of the basic Rithmatic defenses, I knew I would be in for another sleepless night. Set in an alternate reality where the US has broken apart into a union of tiny islands, THE RITHMATIST follows young Joel, who desperately wants to become a Rithmatist. But not everyone can be one of these special few who can draw life into two-dimensional Chalklings. The story deepens when someone is found dead, likely killed by a wild Chalkling. It's up to Joel to figure out what happened before the killer strikes again. I will say that both of these end on cliffhangers (setting up book series), so be aware of that. (This is coming from the guy who went to see "Lord of the Rings" and stood up at the end, shouting "BUT WHAT HAPPENS TO THE *@#$! RING?" before storming out.) You better believe I'm going to read through both of these series, but it would have been nice to have the expectation that neither is a complete book (start -> middle -> end) in itself. That said, Brandon Sanderson is the man. I sense many more sleepness nights ahead, and I thank him in advance for that. It looks like I need to add a goatload of Brandon Sanderson books to my TBR pile. But if we're making a list of prolific authors, I think Rick Riordan needs to be on it. When my then-9yo discovered the Percy Jackson series, the library couldn't keep up with his hold requests. Thank goodness Riordan had produced enough books to keep him in reading material for over 6 months.